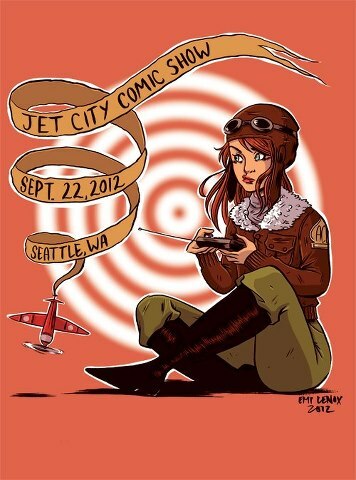 LarsenGeekery is proud to announce that we will be exhibiting at the Jet City Comic Show! We have attended this show in the past, as civilians. And we highly recommend that you and your family attend this year. If you have ever been curious about comic book shows, but you don't want to brave the crowds and media madness that surround the large multi-day shows like San Diego, well Jet City is your show. Jet City is a one-day show with great guests, great exhibitors and affordable pricing. Meet artists and writers face to face. Get a sketch, buy some comics and have a great time. You can come and see everything in a few hours and still have time and energy left to go see other Seattle sights. Jump over to the Jet City Comic Show web site, check out the guest list and purchase your advanced tickets.